Nick participates in YGAP’s Polished Man Campaign. From the 1st-15th of September, Nick will be walking around with nail polish on one of his fingers. You might ask why the CEO of a company would feel compelled to do this? Well no, it is not a fashion statement. Nor is it the result of an afternoon spent with his daughter. The answer is that Nick will be participating in YGAP’s Polished Man Campaign. YGAP is an Australian based non-for-profit organisation dedicated to poverty reduction and eradication. Its goal is to drive social change through the provision of education and leadership. 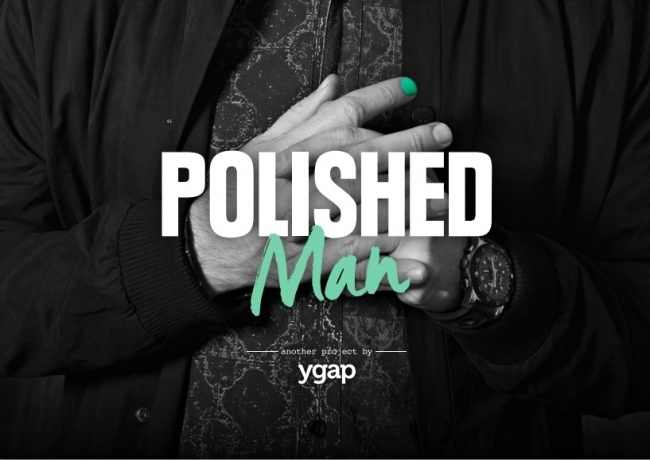 Polished Man is the latest fundrasing campaign from the organisation which challenges men to wear nail polish and fundraise towards prevention programs to address violence again children. Voilence against children can refer to anything from sexual to physical voilence, and is a serious problem in Australia and throughout the world. Polished Man challenges men to wear nail polish and fundraise towards prevention programs to address violence against children. While the majority of perpetrators of violence against children are men, Polished Man is an opportunity for men to become part of the solution in ending this violence. By painting one nail, men represent the 1 in 5 children who experience violence globally. Both women and men are crucial in ending violence against children. We ask women to paint one nail in solidarity and encourage the men in their lives to participate. Polished Man will fund preventative measures to end violence against children through our international projects and locally in Australia. Wearing nail polish itself won’t end violence, but fundraising will contribute to ending the problem. The campaign is largely about raising awarness of voilence against children and encouraging men to band together in creating a solution to this global problem, but it is also about raising money to fund this solution. If anyone wants to donate to Nick’s cause, you can do so by clicking here. Additionally, you can watch the video below to learn more about this great campaign.